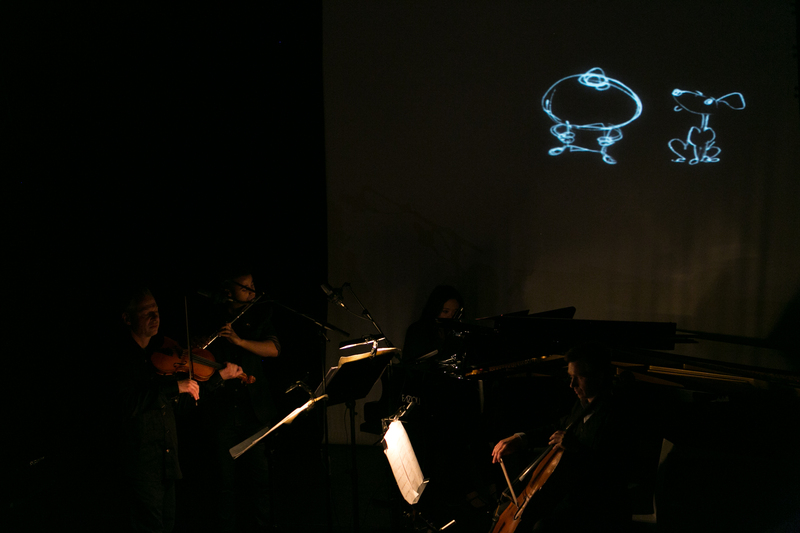 A concert project with the peärls before swïne experience and the music/film composers Marcus Fjellström, Sol Andersson, Fredrik Olofsson and Niels Rønsholt. Most often, when we hear music and film, we are hearing either music that has been composed for a film (i.e., film music) or a film that has been created from a piece of music (like a music video). We are as usual doing something different: a series of short films for which the music has been created by the filmmaker so that we have no idea what came first. Very few artists are highly accomplished in both the musical and film fields, but we managed to find four of them living in Scandinavia. All four have developed into filmmakers after studying composition and have highly personal styles that make for a varied and enjoyable evening at the theatre. 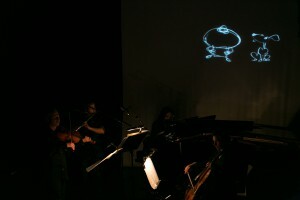 The films span from animated cartoons to live video and are all adapted to a theatre’s sound and projection system while the group performs in front of the screen. So sit back, relax, and go to the movies! Popcorn will be allowed.